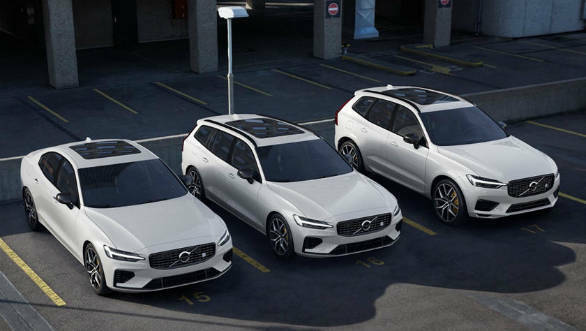 The Volvo XC60 SUV and V60 wagon have now been the Polestar Engineered hybrid performance variant. This top-of-the-line engine option first debuted in the S60 sedan a few months back and both these cars now use the exact same formula. Like the S60, this gets a turbocharged and supercharged 2.0-litre petrol motor in the T8 spec. This makes 415PS and 670Nm and gets hybrid assistance. Other Polestar bits include Brembo brakes, light weight alloy wheels, chrome exhaust pipes and gold colour seat belts. The brake calipers too are painted in gold, in line with other Polestar cars. The biggest highlight, though, is the adjustable Ohlins suspension. These are similar to the one's on the Polestar 1 hybrid and promises improved cornering ability and control. Visually, there is very little that makes these stand out over the regular XC60 and V60. Thers is a more aggressive bumper with black inserts, a black grille with the Polestar motif and exhaust tips. also new are the new low-profile alloys. Needless to say, Volvo's full suite of active and passive safety features will be available. This includes automatic emergency braking, lane departure alert, optional rear cross traffic alert, and optional Pilot Assist ? which supports the driver with steering, acceleration, and braking up to 80 miles per hour (130 kilometres per hour). The XC60 and V60 are some of the most sensible and comforting cars you can buy. 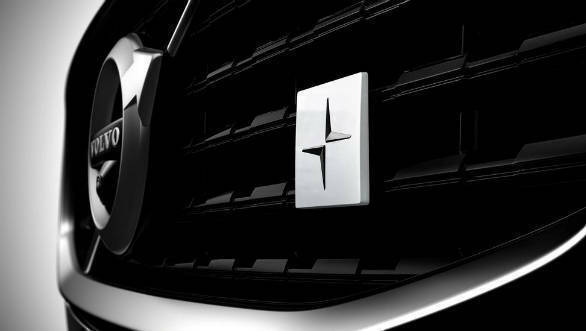 This Polestar versions bring some excitement and aggression to the mix. Tags: Volvo | Volvo V60 | V60 | Volvo V60 Polestar engineered | Volvo V60 Polestar engineered details | Volvo V60 Polestar engineered specs | Volvo V60 Polestar engineered engine | Volvo V60 Polestar engineered power | Volvo V60 Polestar engineered design | Volvo V60 Polestar engineered styling | Polestar | T8 Twin Engine | Volvo V60 Polestar engineered changes. 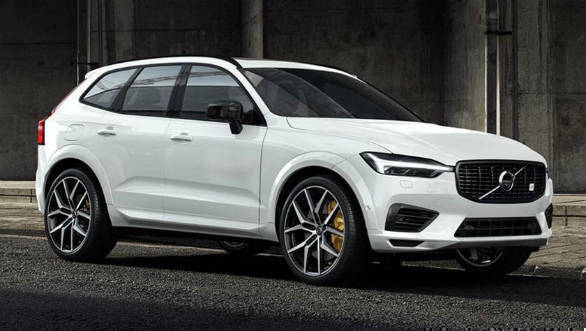 Polestar | Polestar Engineered | Volvo XC60 | xc60 | Volvo XC60 Polestar engineered | Volvo XC60 Polestar engineered details | Volvo XC60 Polestar engineered specs | Volvo XC60 Polestar engineered engine | Volvo XC60 Polestar engineered power | Volvo XC60 Polestar engineered design | Volvo XC60 Polestar engineered styling | Volvo XC60 Polestar engineered changes.